The Israeli Defense Minister Avigdor Liberman said Saturday a Gaza border crossing would be closed to repair damage from protesters' arson the night before. Liberman decided to close the Kerem Shalom crossing on the Gaza Strip from Sunday until further notice after protesters set various locations on its Palestinian side on fire during Friday's protests , Jerusalem Post reported. The crossing was also set on fire by protesters last week, the Jerusalem Post report said, with fuel and gas pipes damaged at the time. "The crossing will remain closed until the damages caused by the riots are repaired and will reopen in accordance with a situation assessment," an Israel Defense Forces spokesman announced on social media Saturday. "Hamas terror organization is harming the well-being of Gazans." The Kerem Shalom crossing, which is the only crossing for goods, will now only be open for humanitarian causes, Haaretz reported. The final protest was Friday after seven weeks of "March of Return" protests at the Gaza-Israel border killed one person and injured 400 people. The fires were set as protesters clashed with Israeli troops by burning kites from the Gaza side. 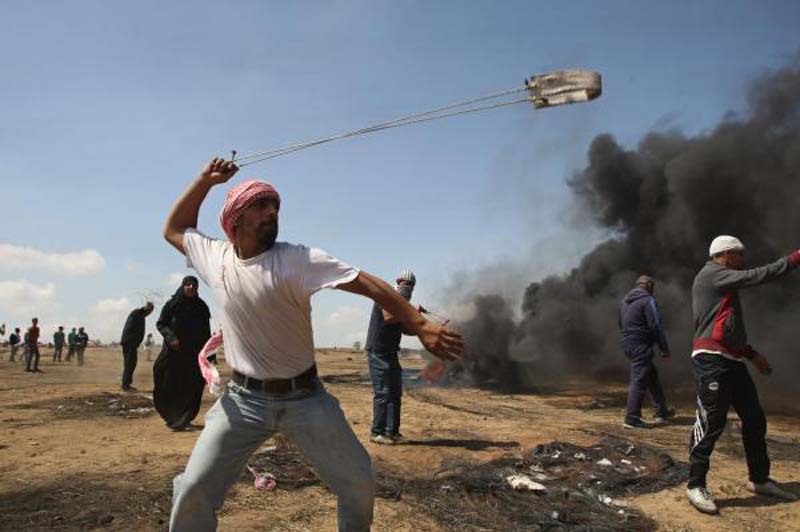 The Israeli army said it used live ammunition during the clashes.